The Tuin der Onlusten or Garden of Distress designed by the artist Al Balis, is without a doubt the most peculiar garden of Alsemberg. It exhibits a rather bizarre collection of art works made of a wide variety of materials including scrap iron and other waste. 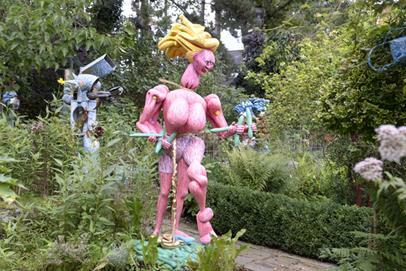 Combined with a highly unusual selection of plants and an equally strange garden layout, this art project makes for a truly unique and fun experience. This garden is on display to the public only on open days.